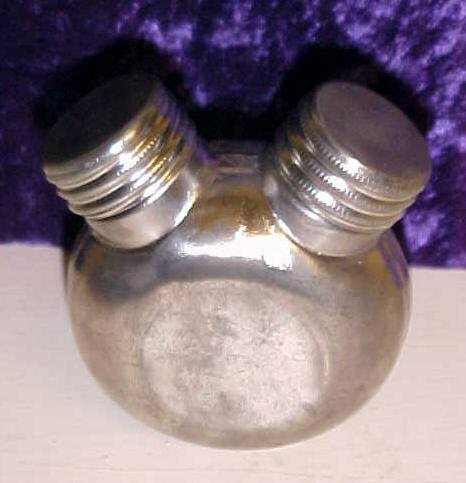 This is a very unique antique metal container with two separate compartments, and twin screw caps, forming a Mickey Mouse head shape. There is two Japanese marks on the front face also, but we are not sure what it translates to in English. This is a very well made container, fairly thick metal, and there is a interior center separator that makes it very sturdy. The screw caps have rubber washers inside for a very good seat, air tight. 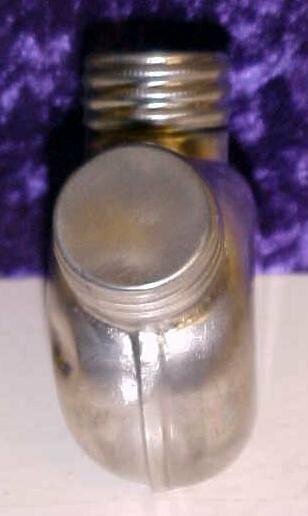 There is a residue much like a light grease inside, perhaps this was part of a weapon kit that would contain two types of grease, or perhaps a metal cleaner and grease for a weapon? The man I bought it from seemed to think it was a ceremonial container for holding some sort of drink? I have so far found nothing conclusive on the purpose of this unique item. The size of the main round body is 2.5" diameter, the overall height is 2.75". 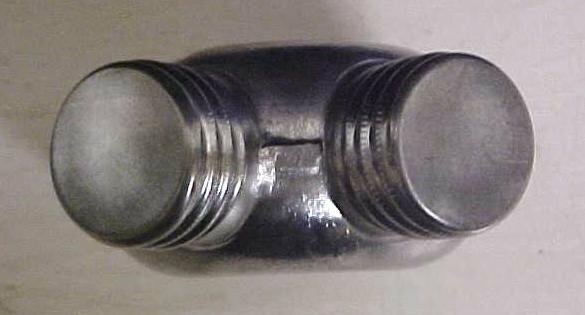 As you can see the metal has no rust on it, no pitting, maybe a pewter, or nickel based alloy metal. It has a few small dents, otherwise in very good condition, with very good caps and threads. Very well made! 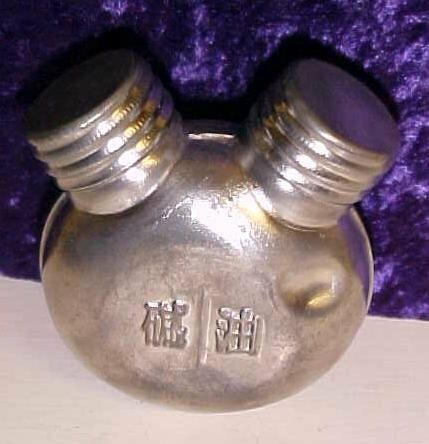 Items Similar To "Antique Metal Gun Kit Two Compartments Screw Caps Japan"
Pr of metal heel attachments.